So I know it's a touchy subject because so many are upset that they didn't get an Epic Reward from Sephora. I completely understand, I would've been disappointed too. I got up at 7am and refreshed my browers (yes plural) until 3pm. I wasn't in the rewards boutique I was on a link provided in one of the community boards on Sephora forums. I will say that for those who didn't get anything, to go check out the community boards for the statement from Sephora where it asks you to email them your acct information and apparently they are giving you more points for the frustration and hassle. I think it's 1000 pts but I'm not sure. So check that out if you're interested. I save my points all the time I rarely ever redeem them until I actually want something they're offering. Only because there are so many promos that come out with free deluxe products with a $25 or $35 purchase, they rarely have anything in the reward boutique I haven't already got with a purchase. Which is why I don't buy a lot all at once from Sephora unless I need several thigns. 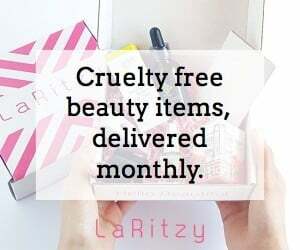 I have free shipping always so I only buy what I need and use a promotion offer to get free deluxe samples and wait until another one comes out to place an order for something else I either need or want to try. It saves me money and saves me from using points as well. Not to mention I wait until they do a 2x, 3x, or 4x points promotion to place orders as well cause I get 4x the points that way. I don't place an order just to place one, I wait for the most opportune moment. I might actually do a post about all the recent deluxe samples I've gotten from paying attention to emails and such. It's times like these that I'm so glad I save them! Moving on, I got the Smashbox 1000 point perk. Which was what I wanted all along. I don't honestly have a ton that is Smashbox so I really wanted to try it. Plus it offered the new #shapematters palette and I wanted to review that. As you can see it came beautifully wrapped in a huge UPS box. It was so pretty I almost didn't want to open it. I was so excited I could hardly stand it. It was quite the presentation. and #shapematters cards that are activated by your phone it's face, brow, and eye cards. Which provide you with videos once scanned. The #shapematters palette is awesome.... it has everything you need. Brow powder and wax, contour and highlight powders, 9 eye shadows and a double ended brush. It really is amazing. I can't wait to play with it. A review will be coming up soon when I get to fully play with it.